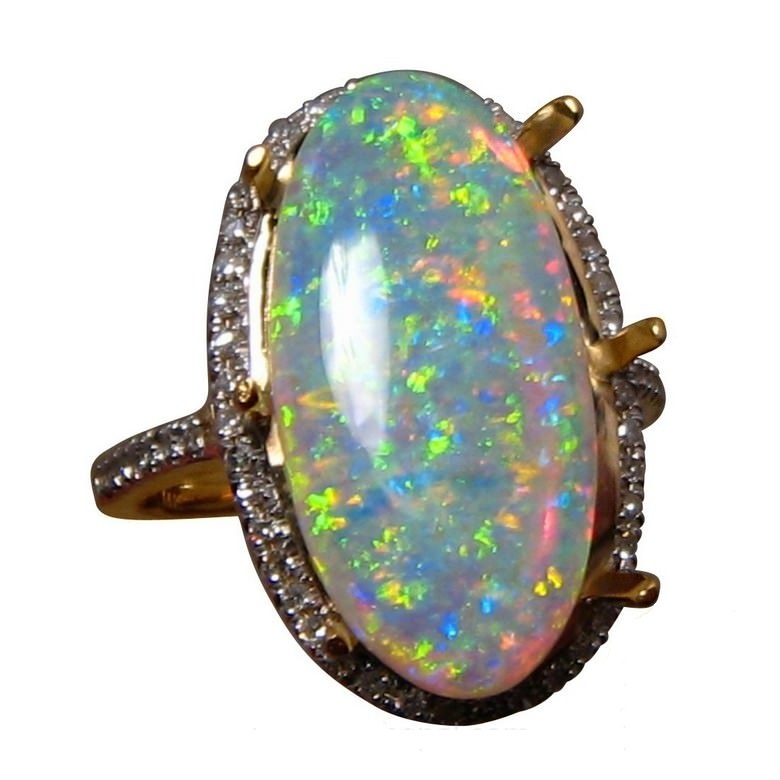 Stunning Opal in this 14k Gold Ring for women. A 3.65 Carat Crystal Opal with brilliant colors surrounded by Diamonds. 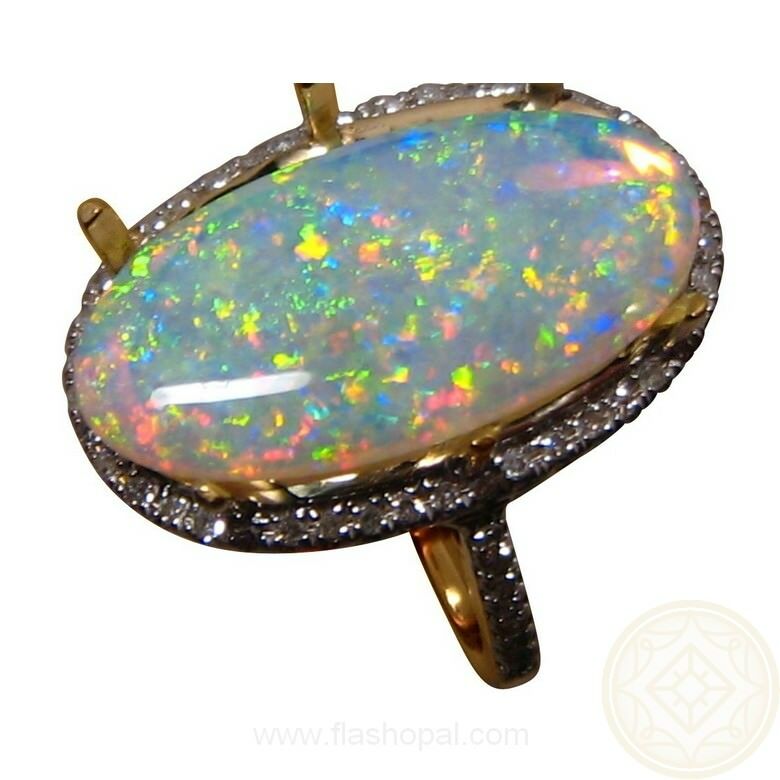 This Opal Ring with Diamonds is suitable as a dress ring or engagement ring. It features a 3.65 Carat Coober Pedy Crystal Opal with an unusual mix but very bright colors of Green, Yellow and Red. Shown in a 14k Yellow Gold Ring, the opal is surrounded by 68 small round cut diamonds with diamonds on each side of the band. 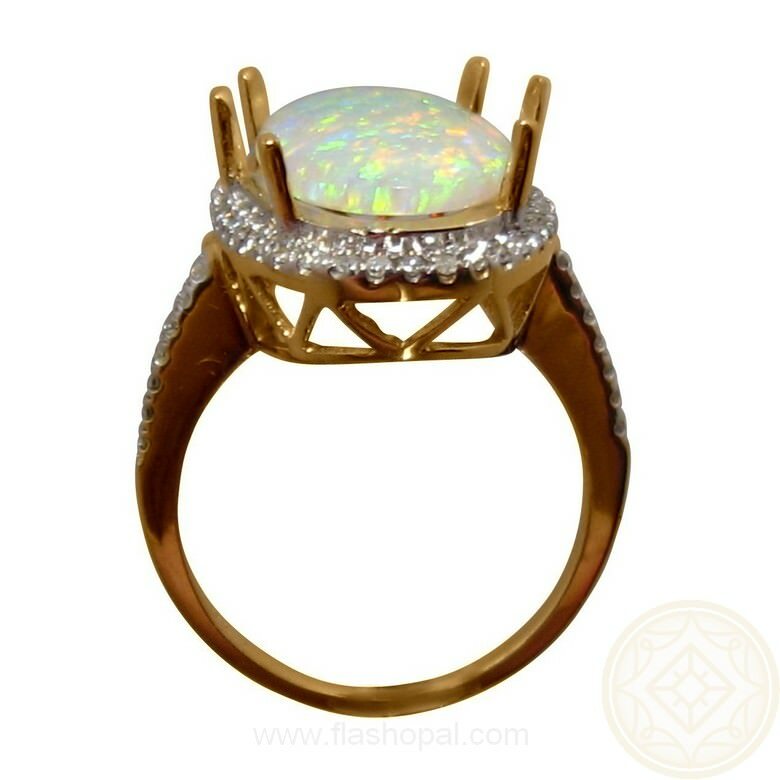 There are triangle cut outs on the ring mount, allowing light to the opal and diamonds. This ring is ready to ship as advertised or will take 14-21 days for any changes to ring size or Gold color. 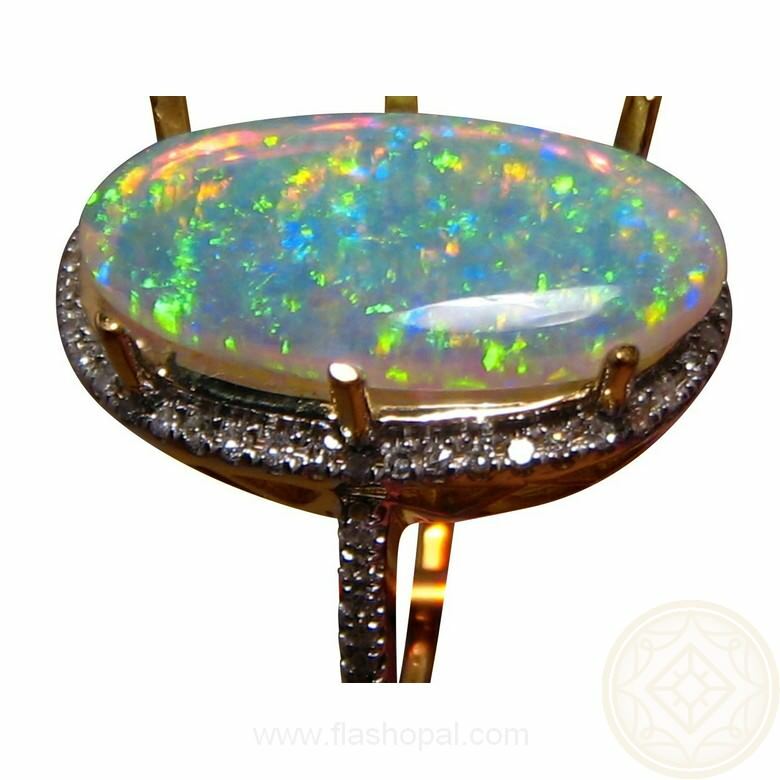 As the opal is not yet set, it can be mounted into a different ring setting or even a pendant if you prefer. Simply contact via this product for a no obligation quote.